June is one of my favorite months and I've got lots in store for you all! My monthly "all in" challenge and accountability group starts on Monday, June 5th! 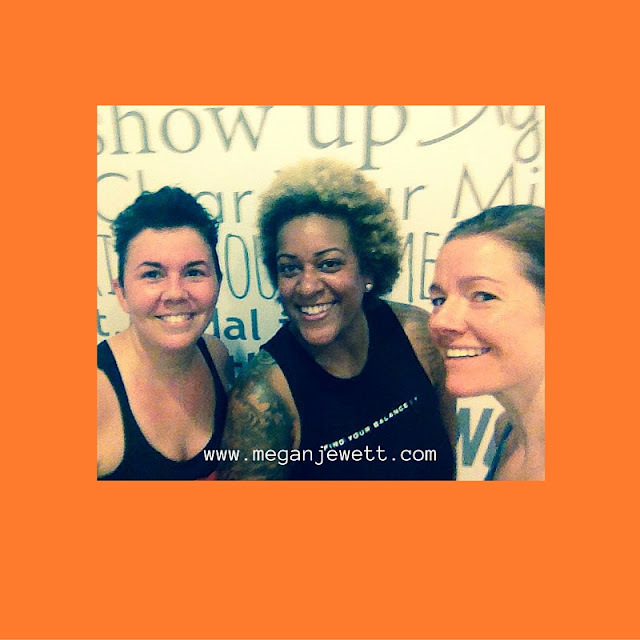 On demand workouts, meal plans, motivation, support, superior nutrition, and some fun! It's the whole package and only for busy women who are serious about dialing in and getting results. June 9th at 6:30 PM I'm going live on Facebook to share a common mistake I see lots of women make when they try to eat healthfully. It's certainly something I fall prey to from time to time. Tune in to find out if it's a mistake you are making too and what to do about it. 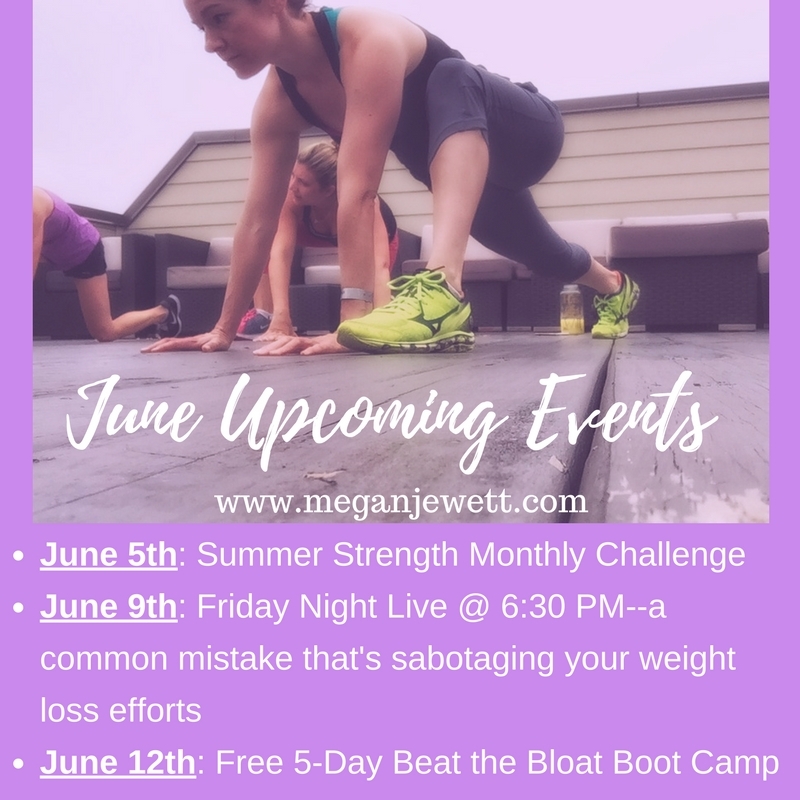 June 12th I will be hosting a free Beat The Bloat Boot Camp where we will focus on easy strategies to get some quick wins in your health and fitness. 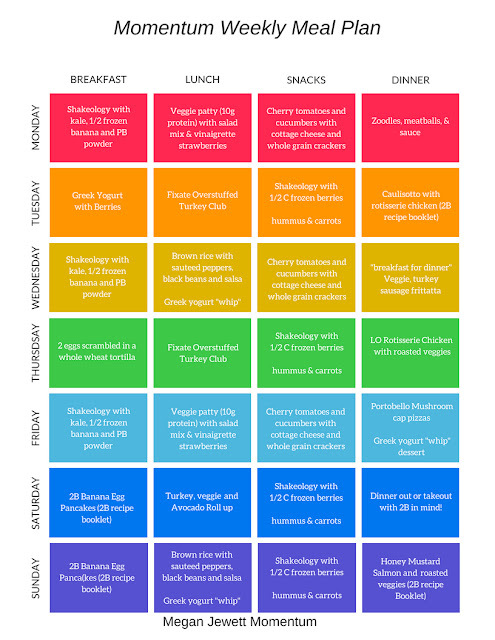 You will be tracking your food intake, making simple swaps to improve your diet, and focusing on water intake--all with the goal to lose a few pounds and make you feel better in your favorite summer outfit! Click on the link above to see the event and be sure to comment with your email address--I will not be able to add you to the group if we aren't Facebook friends or I don't have your email address. Don't miss out.